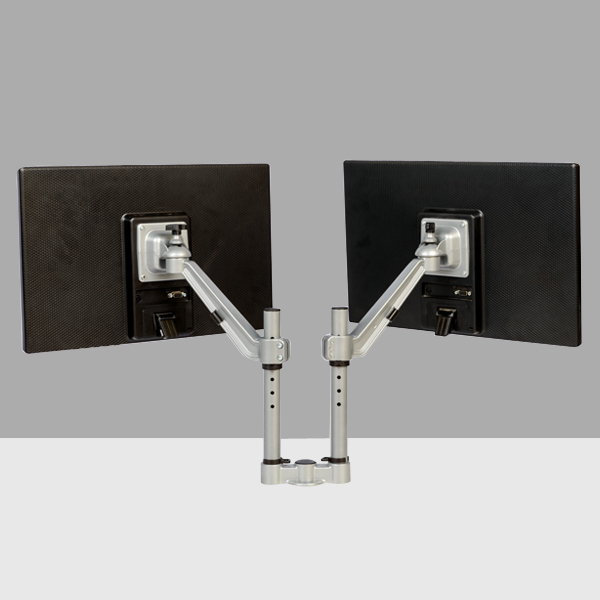 Table top grommet mounting with double arm. 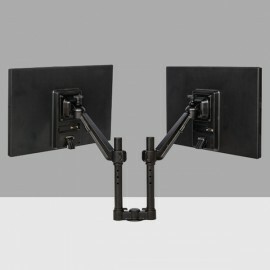 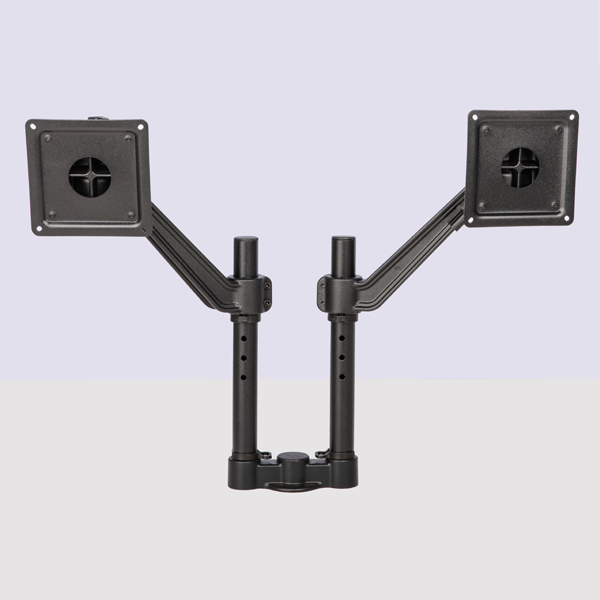 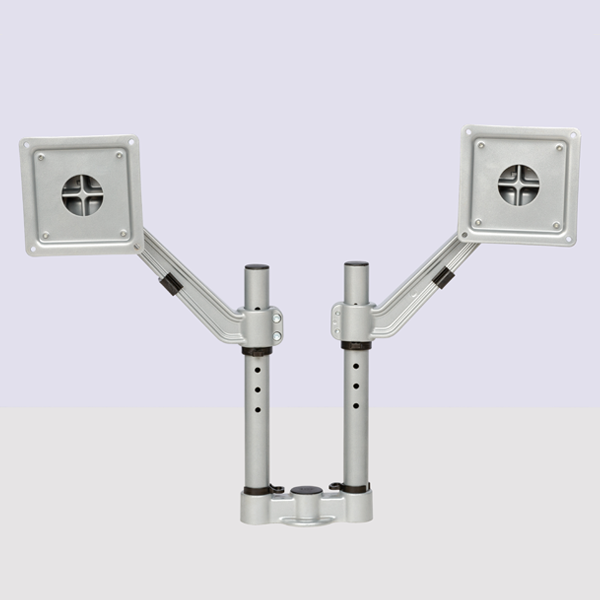 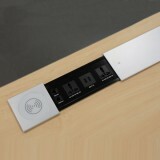 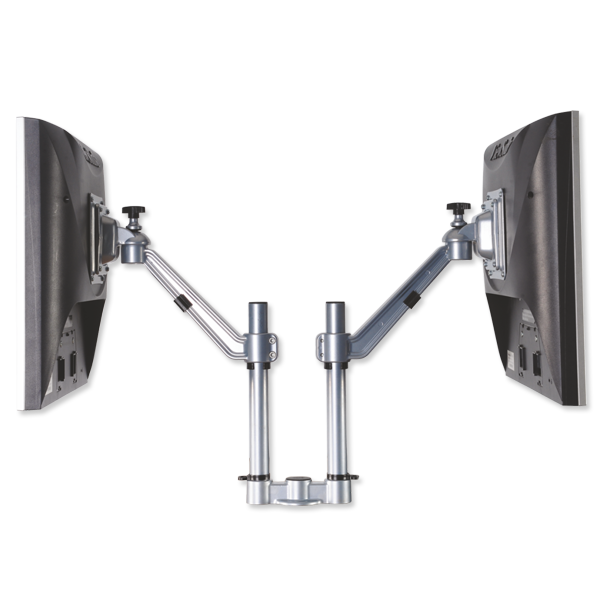 Compatible for VESA 75x 75 & VESA 100 x 100 with an extra plate. 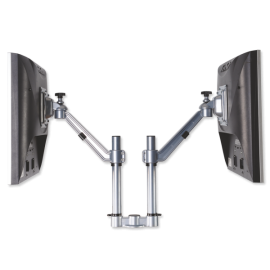 Load capacity: < kilograms per arm.